Once you discover the scope of possibilities that online dating opens up, you are not very likely to ever disregard its tremendous potential and importance. When we come to a certain age, we seem to forget how exciting meeting new people can be, and this website is here to remind you just that. 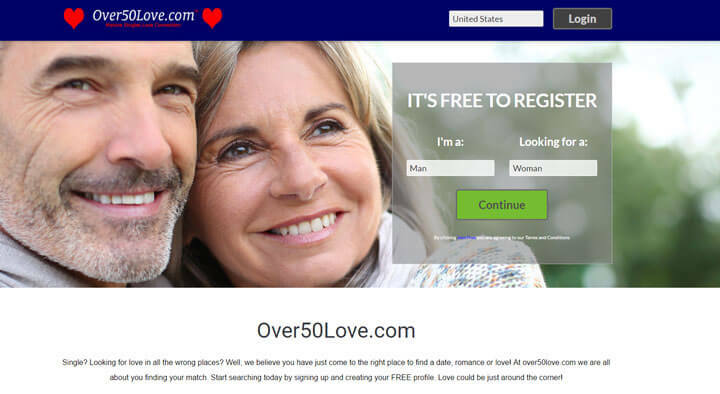 Over 50 Love is an online dating and chatting tool that has quickly become a go-to website when it comes to online networking in the UK. Regardless of what you’re looking for, this website is a valuable online asset you simply have to make use of to see its numerous benefits. This matchmaking community gives you a sense of excitement the moment you sign up. There are many great things in store, just waiting to be tested out. Possibly the best thing about this dating network – something that catches your eye immediately – is how elegantly simple its overall look is. Plus, there are photos of recently active members that will surely intrigue you when you first visit the website. Needless to say, its shipshape design makes the entire website as neat as a new pin. There’s nothing to pull your attention away; everything is immaculately designed and created to make you feel cozy and relaxed. This website is surely one of the most practical your will find on the web – there are no unnecessary extras, each feature comes into its own place the moment you decide to use it. If you’re looking for a user-friendly, functional interface, then this website is perfect for you. For people who prefer an all-in-one solution, having an array of different features at their disposal is a must. This website caters to people who want expedient, high-quality service, so it is no wonder that the feature that stands out among the rest is its online chat tool. This is where members get to know each other really well; there’s no delay, no waiting for a reply and no unnecessary suspense. Another benefit that comes alongside this tool is an instant messenger which allows you to get immediate feedback from people whom you fancy. You will also get an email every time someone decides to message you. As a free member, you are allowed to create and edit your profile, send an unlimited number of winks, search for people based on where they live and create your favourites list – an added extra that’s a major benefit for optimizing and increasing your contact list. However, with an upgraded membership, you may further enhance your experience by uploading multiple photos, creating and reading dating diaries, and sending and receiving private messages. Finally, you can see who’s viewed your profile, added you to their favorites list or sent you a wink to start up a conversation. This all helps you filter out your contacts and stay in touch only with those who seem to be worthy of your time. As stated previously, this online dating community brings you closer to a host of mature singles from all corners of the United Kingdom – England, Wales, Scotland and Northern Ireland. Members of Over 50 Love cherish every moment spent together; they’re passionate and open-minded, eager to meet new people and enrich both their social and love lives. And not just that: you will find them chit-chatting and having a ball in one these chat rooms, talking about their hobbies, pets, and future plans, among other things. The options are basically limitless. To conclude, this unique dating chat club will leave you wanting more. 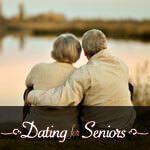 If you are over 50 and looking to spice things up in your life, this seems like the right choice. Not only do you get to personalize your profile but you also get a chance to meet someone special with whom you can easily arrange to meet up and have a pint of beer in a local pub. However, if you decide to take things slowly and remain online, it is good to know that there’s such a great, effortlessly elegant social club right at your fingertips. There may be too many men on my favorites list, but I can’t help it, some of them are worthy looking at every day. I love this feature, this way I don’t have to look for the ones I like the most all the time. 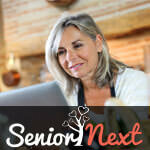 Whoever thought of this online senior dating thing, kudos to you! I feel so much less lonely since I’m with Over50! Some of my friends joined in too, so know we’re exchanging our experiences daily. It only gets more interesting with each day, and I’ve been living alone for a long time, so this is great fun. Hopefully I will score a date with some nice lady soon! Until then, I’ll go fishing with winks! At first, I was disappointed, but this gets more interesting everyday. I didn’t pay for anything, but I had some pretty matches, so I guess this site’s for real.